At Soaring Dance Theater, there is one fundamental reason why we created our adult dance classes — it’s never too late to start dancing. It’s a common question we get, whether it’s from random patrons who pass by our Monroe studio, or parents who bring their kids in, marveling at the adult dancers who seem to know their craft so well. “Is it too late to start dancing?” they ask wistfully, as if they’re already resigned to having missed this great opportunity in their lives. We reaffirm that the answer is a resounding no. In fact, there are all kinds of reasons why taking up dancing in adulthood can improve your life. Whether you’re 18 or 88, you’re never too old to move to a beat, and if we could, we would help everybody in New York to become amazing dancers. Here are some reasons why it’s a boon to learn dancing, no matter how old you are. This one should be obvious. Dancing, no matter which way you look at it, is a great workout. The intensity of the workout depends on the dance, but it’s basically an inevitability that you’ll be burning calories when you’re dancing. And, in an adult age where our metabolism betrays us and our bodies are content to gain weight from the slightest things, it helps to have physically demanding activities anywhere we can fit them. Dancing is not only a workout, it will hone your body and muscles. As you come to master dancing, your muscles will start to become stronger. You’ll find yourself more flexible, and feel less strain in your movements. It’s truly empowering to feel your body improve from dancing, and it’s a whole lot more fun than lifting weights at the gym! Another great thing about dancing is how great of a skill it is to have in your day-to-day life. Even if you have zero intentions of going professional with your dancing (most of our students don’t), that doesn’t take away from the fact that people love somebody who can dance. You’ll find parties to be much more of a blast. You’ll love being the center of attention when you can bust out some well-trained moves that you’ve learned in your adult dance classes. Being able to dance means that you have more opportunities to just have fun. Sounds pretty great, right? And, of course, let’s not forget that knowing how to dance opens up the window to meet all kinds of new people. It’s not uncommon for working adults to crave new friendships and relationships, and dancing opens up an incredible hub of opportunities to meet like-minded individuals. Whether you’re going to dance clubs, meeting people in your classes, or going to dancing-related events, it truly is a whole new world that opens up to you. We don’t appreciate the bitter outlook that so many adults have on life — that certain opportunities have passed them by, never to be obtainable again. Not with dancing. Do you have dreams of being a professional dancer? Believe it or not, it’s not out of the question. While it is less likely for a late learner to get dancing gigs than somebody who has been practicing since they were two years old, that doesn’t mean it doesn’t happen. This is true with many arts — there are actors, musicians, and artists who didn’t learn their craft until adulthood. It is more rare, yes, but it’s not impossible. If dancing full-time is your dream, there’s no better time to start until now. It’s also important to remember that many dancers, musicians, and artists who have been in their craft since childhood didn’t truly hone their skills at a young age — many of them went through the motions and didn’t get serious until they were in late teenage years or adulthood. A childhood of practicing a skill isn’t always proportional to talent, so stop doubting yourself and believe that you can achieve anything if you work hard enough! 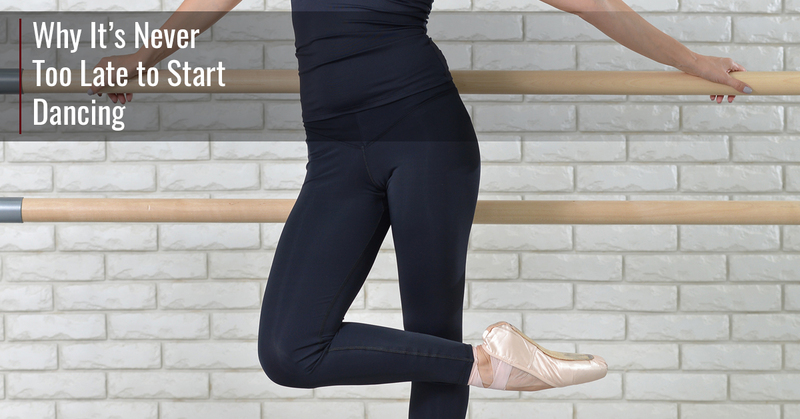 The first step is stopping by our Monroe dance studio to learn the basics. You’ll only grow from there. We teach adult dance classes to anyone who is willing to learn, and our classes come in different varieties. We have dance classes for younger adults, older adults, and specialized courses such as wedding dance choreography if you want to learn a very specific dance for a special day. We have served countless adults in our Monroe dance studio, and every last one of them is a better dancer now than when they started. Don’t ever trick yourself into believing that it’s too late to do anything — it’s a lie, and you’ll love the feeling of empowerment that comes from learning dance. Ready to get started? Contact us today!